Billy Connolly has announced a major new international tour, telling fans of his determination to continue performing despite his Parkinson’s diagnosis. Speaking about his forthcoming ‘High Horse’ tour, which will visit nine Canadian cities in October and November, Connolly defiantly brushed aside suggestions that he would be slowing down. In fact, the comic said performing with Parkinson’s has created a new challenge as his mind works “at a different speed” now. “I find it very interesting, especially in my comedy life, because my mind works differently. It works at a different speed and I find it very exciting,” he told the Canadian press. However, Connolly also spoke of the negative impact that the disease has had on some areas of his life – most notably, being forced to give up playing his beloved banjo. 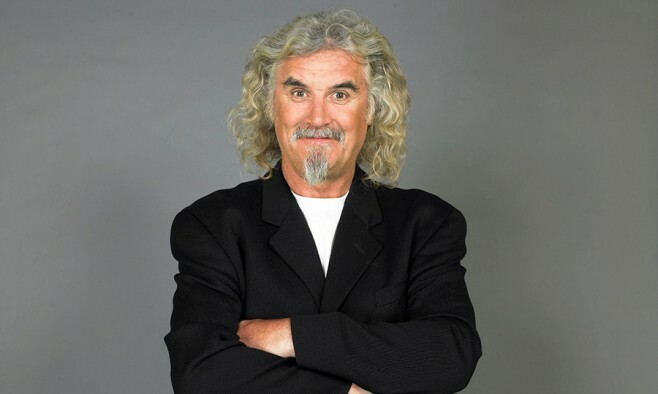 In addition to the standup tour, he is set to embark on an 8,000-mile rail adventure across the US for a new television series – ‘Billy Connolly’s Tracks Across America’ – during which he’ll attend Bluegrass music festivals. Connolly – who underwent surgery for prostate cancer in 2013 after it was diagnosed within weeks of his Parkinson’s, is also starring in a new British film – ‘What We Did On Our Holiday’, in which he plays a character with cancer.